wall-hung sink fits into the tightest corners. Handcrafted out of fine vitreous china, the Carline features decorative fluting on the underside and a heart-shaped integrated overflow. 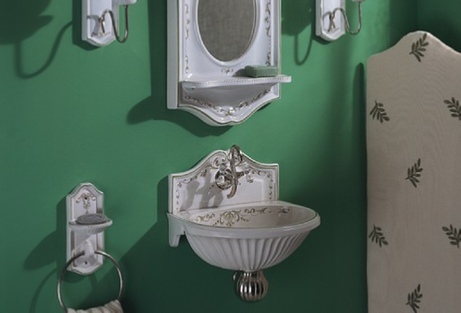 Add style to a small space with a handcrafted Powder Room Couture® exclusive such as the Charly. Handcrafted out of fine vitreous china, this petite basin can be customized in any of twelve authentic handpainted patterns or pristine white. 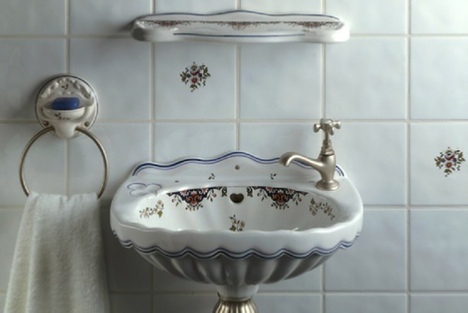 The charm of a traditional 19th Century basin is enhanced by the handpainted colors and patterns of the French countryside. La vie en rose… subtle and delicate, the beautiful Sceau Rose (05) pattern on the Coquille basin celebrates a rose garden in all its summer glory. 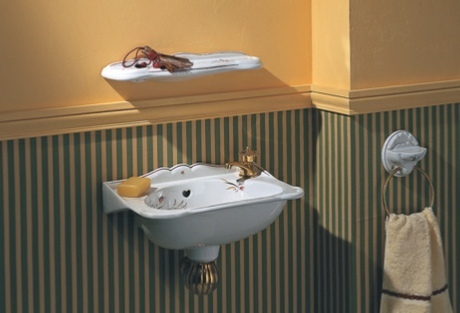 the powder room, admiring the beauty and detail of the Niche sink. Designed for indoor use, the Niche can turn a smaller room into sumptuous jewel box. Available in pristine white or a palette of traditional French hand painted patterns. 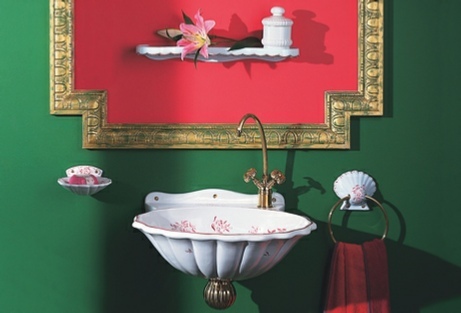 A fond look back to an age of charm and gracious living, the Valse handbasin features the classic shape and handpainted colors of authentic 19th Century fixtures. 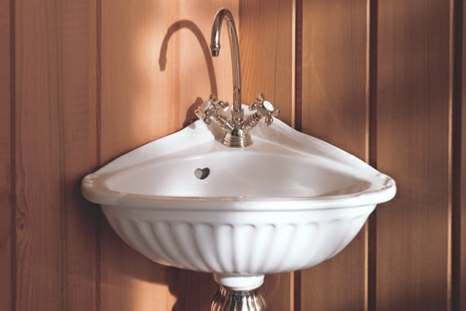 Each basin is individually handcrafted by a skilled Herbeau artisan. 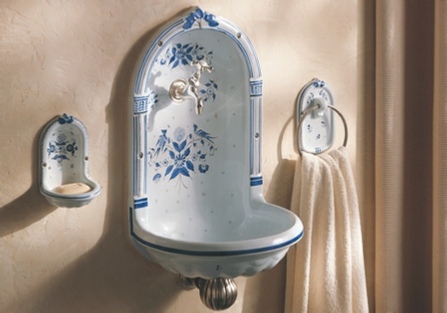 The Sophie has the romantic look of an antique French garden fountain. 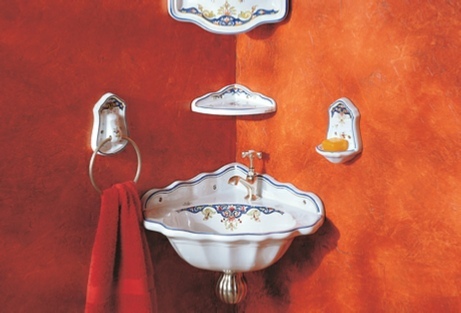 Details include an elaborate curled backsplash, fluted basin and earthenware construction.